Escape into books. 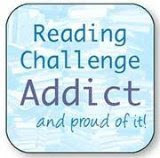 A blog about books, reading, life. So at long last our heat wave has broken. We sweltered under a tremendous heat wave for the past week, and during June and July had many days where it was very hot and humid. 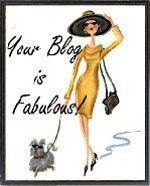 There is such a cool breeze coming through the window tonight that I might have to shut the window soon......all this to say, I can sit comfortably at the computer for the first time since I wrote my last post. In that space of time, I read Boneland by Alan Garner, and have some thoughts on reading it. 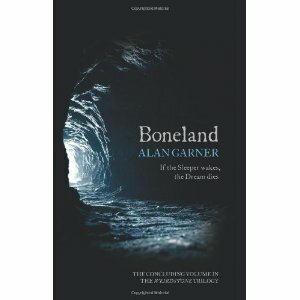 Boneland by Alan Garner is #3 in the Weirdstone Trilogy. What happened to Colin and Susan after the ending of The Moon of Gomrath? What happened is what happens when you find yourself in a fairy tale or a myth, come true. I don't know how often as child that I wondered what it was like to be in a fairy tale. I was fascinated by some of them, and some terrified me. Some made me cry. What I didn't consider then, what no child understands, is that myths change you. You can't step into the forest, you can't follow the breadcrumbs, you can't chase the hind, you can't dance with the fairies, without something being forever altered. It has to do with mystery, or Mystery, that unknowable real way that the world works in. When we begin that hero's Journey Joseph Campbell talks about, even if it is as innocent as inheriting the bracelet that Susan wears and eventually loses, change is going to come. Things can't go back to what they were, no matter what happens. Children will follow the glitter, the fun, the adventure, and Boneland is the story of what comes after. In this particular case, Susan is still gone. Colin doesn't even remember her, except that as the novel unfolds, we realize everything he is doing is to try to find her again. A lot of ancient British myth is lived through in this novel, as Colin struggles to remember what happened before he was 13. It's a painful book in some ways, for he is considered troubled, with asperger's, as well as brilliant in his field, which is astrophysics. How he helps himself is brilliant and sad at the same time. The mind is capable of so much, but when faced with the loss of a sibling and no real answers, how does the soul cope? Mystery has a cost, a price to be paid. It is Boneland's success that Colin is recognizable as an adult from the child he was in the earlier novels, and that what has happened to him is believable.
" 'I hope there isn't,' said Colin. 'I'm for uncertainty. As soon as you think you know, you're done for. You don't listen and you don't hear. If you're certain of anything, you shut the door on the possibility of revelation, of discovery. You can think. You can believe. But you can't, you mustn't, "know". There's the real entropy.' "
and so when it comes down to it, we have to go down the path. We have to know where the trail leads, we have to know what that key in Bluebeard's house opens, we have to be kind to the Beast. Fairy tales are true because in our souls we already know them, somehow. Read Boneland and see how the myth of a place, the setting of stone and tree and sun and moon, gets into your skin, and becomes a part of how you think and relate to the world around you. That's where myth begins. Boneland isn't an easy book to read, but it's a true telling of what comes after. It's fascinating, too. Highly recommended. I saw you'd been reading Boneland - wasn't quite sure whether to read your post, but I'm glad I did, because it's a lovely one! The reason I wasn't sure is because I haven't finished Boneland - I started it ages ago and I can't quite bear to finish it. Sounds idiotic, doesn't it, but it's as if it's so important to me that I'm scared of what I'll find there. I know it's going to be sad. But Garner gets right into my soul and I feel as if I grew up alongside Colin and Susan. They are part of the myths that changed me. Geranium Cat: You have to finish it! It finishes in a way that is perfect, though not expected. It does complete the trilogy, somehow, too. And I don't think you will be left wishing there were more.....it will make you go back and read it all over again, to really see how the myth works. It's quite brilliant, overall, I think now. Let me know what you think when you are done!! 'book junkie', a writer and poet. Am often seen making lists of books to buy, or to get from the library; I have lists everywhere. My ultimate dream house has shelves everywhere for books. I have a dear family who puts up with my love of books, and 2 cats who lie on my books when I read them. Some of my favourite things. Tea, Arsenal (mug), ginger cookies in the jar, and books. Reading, Fringe, and a warm day. How horrible it would be to live in a world without chocolate......Chocolate runs through my life like a comfort blanket; a teddy bear you can eat......I simply love chocolate. I adore it. I want it. Never underestimate the power of a word to change the world. - my own quote. to cheer me during the winter! "A book, too, can be a star, "explosive material, capable of stirring up fresh life endlessly, a living fire to lighten the darkness, leading out into the expanding universe.' " from Madeleine L'Engle's Newbery acceptance speech for A Wrinkle in Time. Olivia was a cartographer of imaginary places. - Haunting Olivia, short story, by Karen Russell.